According to Team Ninja's data, Americans were most likely to view the game positively. Sixty percent of respondents from the Americas region gave the demo a "very good" rating overall, compared to just 18 percent of respondents from the Asia region. Difficulty was the most-criticized aspect, with a total of 39 percent of respondents worldwide rating it as "normal," "bad," or "very bad." 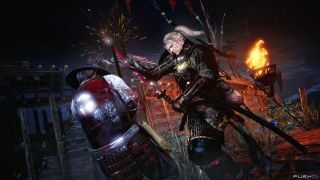 Team Ninja says it will be addressing this feedback in several ways, including the addition of a tutorial area, a new layout for the user interface, giving players more item shortcut slots, and removing the durability stat for weapons and armor. Hopefully this all leads to bigger, brighter bars for Team Ninja's future graphs.